Maryland has that classic East Coast charm that has drawn people closer to the Atlantic Ocean for years. Vibrant Cities like Washington DC and Baltimore serve as hubs for people and families searching for lifestyles in thriving metropolises that are filled with opportunity and fun. 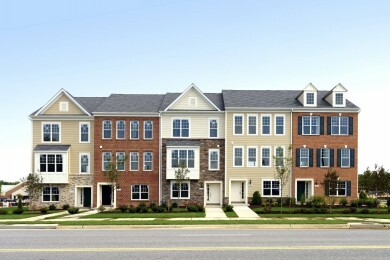 If you are searching for a new home in Maryland, Timberlake Homes has crafted a wide array of homes that fit every lifestyle in thriving new homes communities near Baltimore and Washington DC. At Timberlake Homes, we know that everyone is different, and desires different features in their new home, so we have designed a diverse portfolio of new construction homes that form the foundation of your life, and help make your life simple and comfortable. If you and your family are searching for new homes around Baltimore or Washington DC, Timberlake Homes has built spacious single family homes in the best new homes communities of Maryland. Our quality new construction homes allow you and your family to grow in a comfortable new home, away from the hustle and bustle of the larger cities, in a community that puts you close to desirable amenities. For more urban oriented professionals, Timberlake Homes has designed luxury townhomes in the Baltimore and DC area. Your new home is a huge investment in your future. Timberlake Homes has served homeowners in Maryland for over 50 years by designing homes that are beautiful to look at, and turn your daily life into a serene retreat.